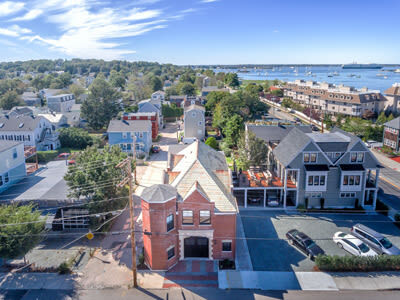 The Firehouse Inn is conveniently located on Thames Street in the heart of historic Newport, Rhode Island. 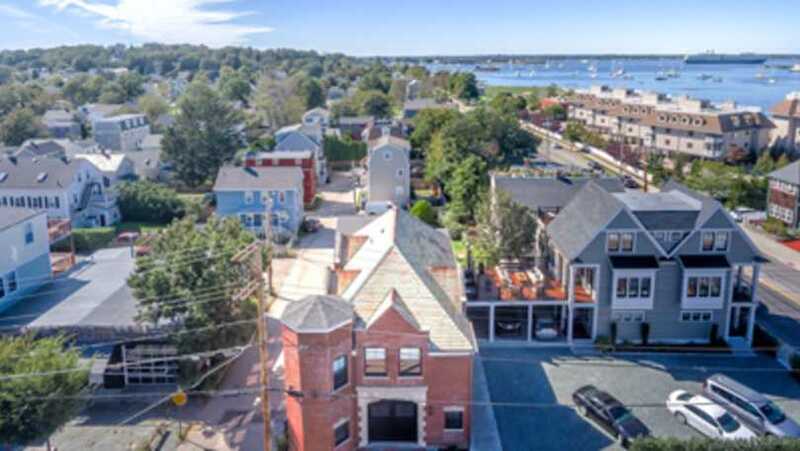 Our location is just steps away from Newport Harbor, world class shopping, fine dining, historical sites and so much more. 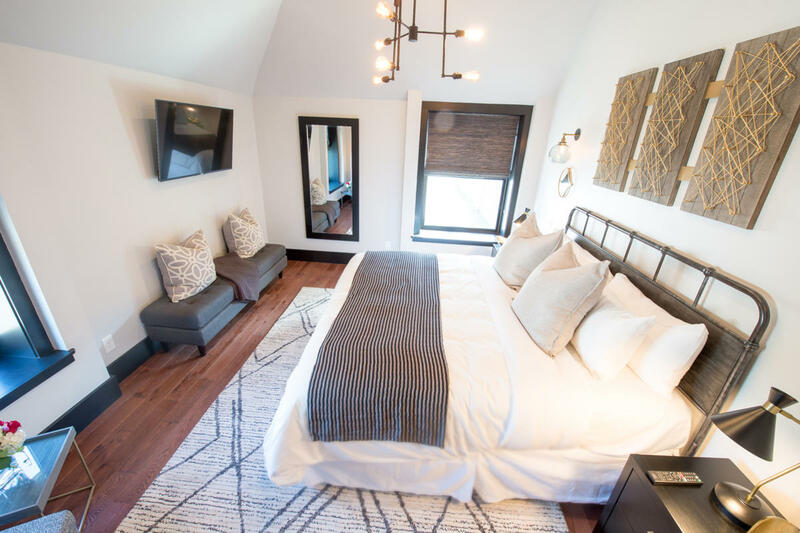 Our Inn features 5 comfortable guest rooms. 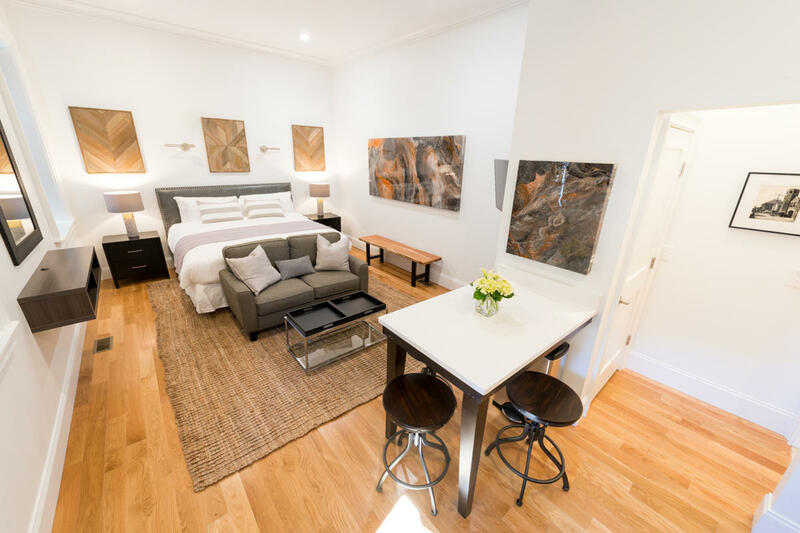 All rooms have their own private spa like bathrooms and come fully accessorized with flat screen televisions, plush linens and luxurious soaps and shampoos. 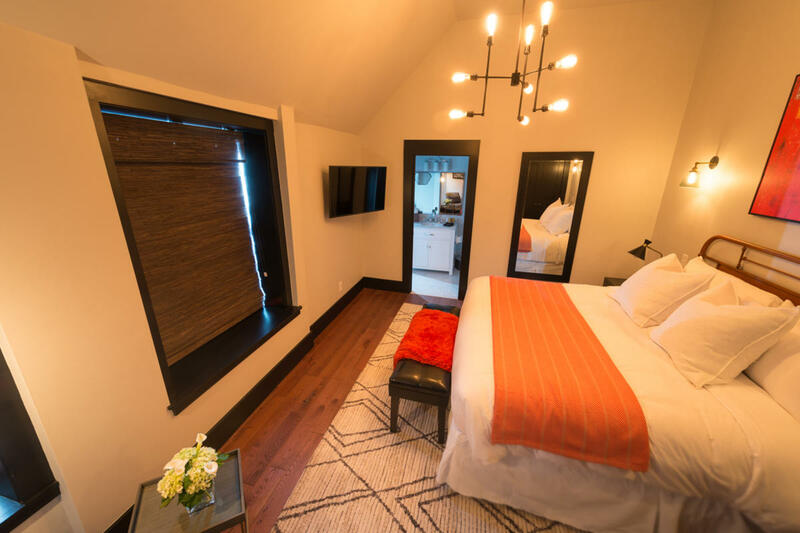 In addition to the Inn’s five guest rooms there is a gourmet kitchen and a lounge located on the first floor. Off street parking for one car per room is available as well. 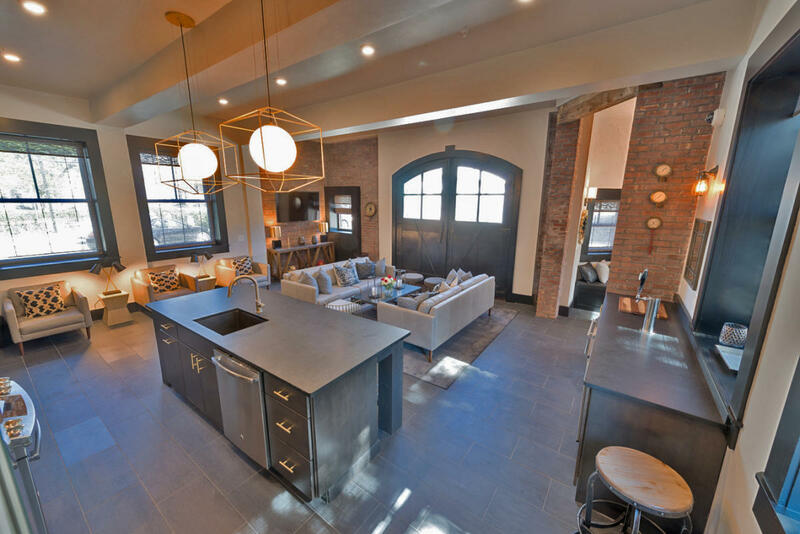 Just around the corner from the Inn's main entrance is the Firehouse Studio. 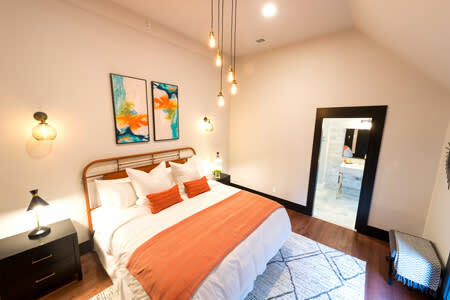 Separated from the rest of the Inn's rooms, the Firehouse Studio has it's own private entrance and parking area on Sharon Court. 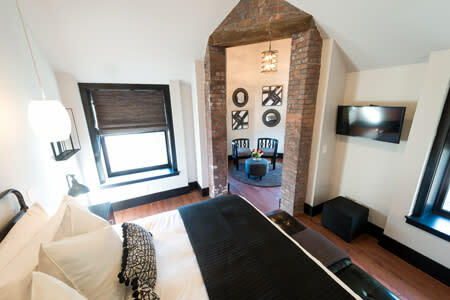 The Studio features a king sized bed, private bathroom, kitchenette, and sitting area with a flat screen television. 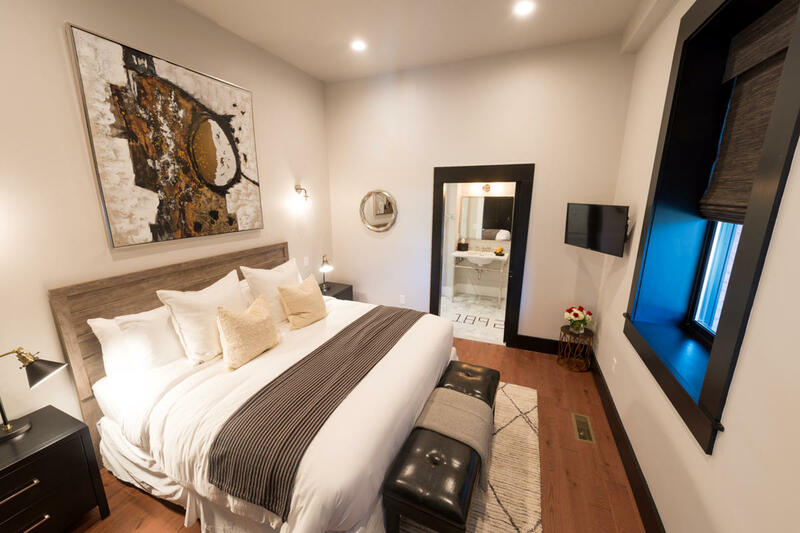 The Firehouse Inn offers guests comfortable accommodations with nightly room reservations, or if desired, the entire Inn is available to be reserved for private functions and events.